The following three versions of my CV will give you some idea of what I have been up to over the years. I have given you these versions so if you need something you can choose between the more relaxed and the slightly more formal versions. Of course, you are welcome to just copy and paste anything you see here, or if you need something else then please let me know. Many years ago, Peter did a B.A. Social Science and an M.A. Psychology. He says he thoroughly enjoyed his studies and freely admits to having learned something. He also says that the past 30 years of working with young people, especially with those having a hard time of life, have taught him a lot more, and given him some ideas about how to make use of what he learned at university. Today, Peter works freelance across Australia and Aotearoa New Zealand, with occasional jaunts into Asia, North America the U.K. and Europe. He continues his focus of working with young people in all the places you expect to find them; and finds himself working within all the school systems, as well as in refuges, rehab centres, the many elements of youth programmes and in juvenile justice settings. Peter is particularly keen on working collaboratively with all those in the lives of young people who are so vital to their welfare, their friends and families, and the communities which surround them. Having done this work for a long time now, Peter finds himself in demand as a trainer of workers, and as a supervisor and mentor; and at some time or other, he has worked with all the connected Government Departments; Health, Education, Community Services, Immigration and Juvenile and Corrective Services; and he has found his way into most tertiary institutions throughout the state. He has published extensively, both hard copy and in the E world. 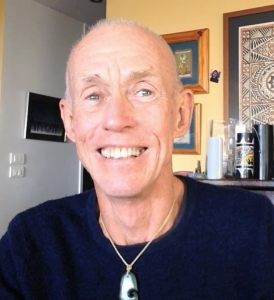 Peter is constantly in demand as a speaker both within Australia and overseas. He says he considers himself extremely lucky, and thinks of his work as an uplifting challenge, a privilege, a joy and often, just a lot of fun. He says he can’t imagine himself doing anything else – he’s in the right job. Peter Slattery has worked with individuals, families and communities for 30 years. Resident in Sydney Australia; Peter works throughout his own country as well as in Asia, Europe and North America. Among the many resources he has published is ‘Youth works. A very practical book about working with young people’ which is used both in Australia and overseas, the training DVD ‘Conversations with young people’ the multi-media groupwork resource ‘THOUGHTPICS’ and most recently the on-line learning resource ‘A Wide Lens.’ Peter’s passion is to find or develop new, exciting and ever more useful ways of helping people explore what troubles or inspires them. He draws on theatre, storytelling, drawing, humour and indeed anything at all that might help in this process. I’ve worked with individuals, families and communities for over 30 years. I live in Sydney and work throughout Australia and Aoterora New Zealand, with occasional jaunts to Asia, Europe and North America. I am happy to have written ‘Youth works’ and produced the DVD ‘Conversations with young people’, the group work resource ‘THOUGHTPICS’. and the on-line learning resource ‘A Wide Lens.’ My search is always to find or develop new, exciting and ever more useful ways of helping people explore what troubles them as well as their hopes and dreams. In doing this, I call on physical movement, theatre, storytelling, drawing, what I call ‘humour’ and really, anything at all that might add something to this process. All of this is, for me, an ongoing totally challenging joy and privilege. Okay, so there are the CV’s. It may also be useful for you to be aware of the areas in which I both conduct direct work and train others. You will find fuller descriptions of a number of these as workshops on other pages of the site. Engaging young people. What works? If you would like to speak to me about anything, get in touch to begin a conversation with me.